(Expert Shopping Tips) Is Buying a J Color Diamond a Good Idea? J color diamonds may be the most misunderstood diamonds on the color grade. 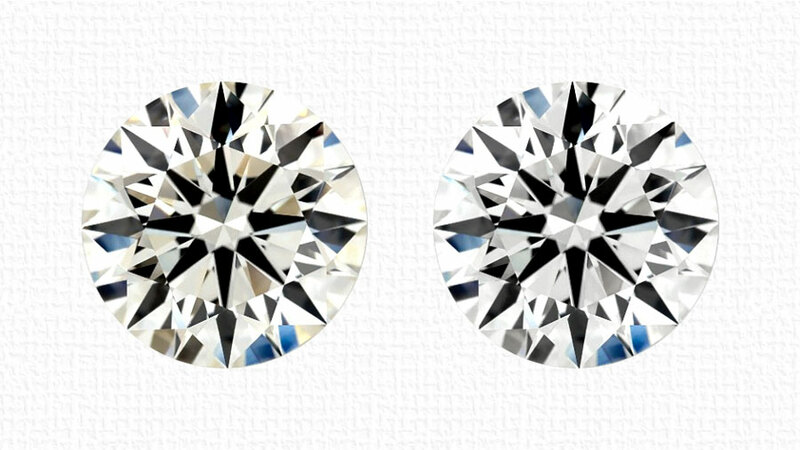 Read our definitive article below to learn everything that you need to know before buying your J color diamond. The left diamond is J Color. The right diamond is D Color. You can see the overall yellowish tint over the J color diamond. It is important to keep in mind that when the diamond is much smaller, the yellow tint will not be near as obvious. One of the 4c’s in the process of grading diamonds refers to the color. The color scale itself goes from D color to Z color. D is “Colorless” and Z is at the top end of the “Light Color” range. Any diamond which qualifies as a color beyond a Z classification is usually referred to as “fancy diamond“. Fancy diamonds aren’t a white diamond with a hint of color, but rather a truly colored diamond. Based on that, you’d be forgiven for thinking that a J colored diamond would be pretty colorless and pretty desirable, but this isn’t always the case. A J classification is the last of the grades which are determined to be “near-colorless”, rather than “colored” and, by the time we reach K, the next on the scale, the color within the diamond is getting quite easy to detect with the naked eye. This means that diamonds that grade as J color are often dismissed without a thought. Many buyers, despite the fact that all the other 3’s are perfect will push aside a J color diamond. We always suggest examining the J color diamond before you purchase the stone. A diamond ring that is already set will always viewed from above. The color that shows when looking directly above is called the “face-up”. Some J color diamonds will show a very yellow face-up while others will hide the yellow and show a white face-up. Antique diamonds are renown for having much whiter face-ups than modern diamonds. A J color diamond that was cut in 1920 may have the same face-up color as a H color or I color modern cut diamond. The face-up is the most important factor when judging the visual color of a diamond. Few people will see anything more than the face-up. They will usually bend down towards your finger, examine the diamond from above, and then walk away. 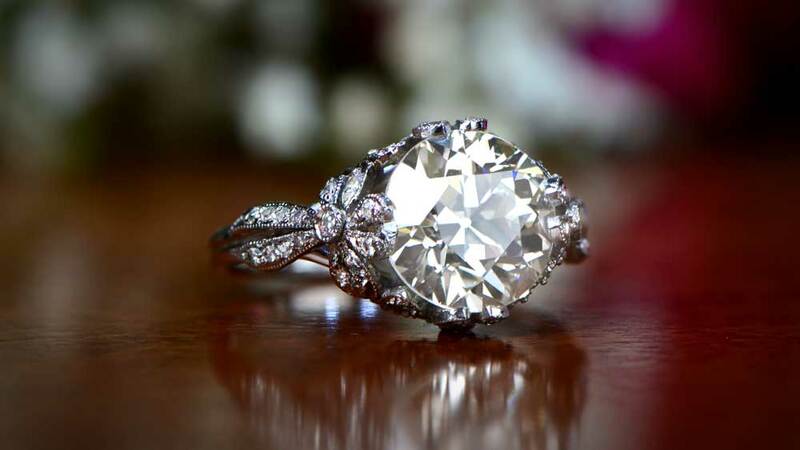 Antique diamonds were cut and polished in a completely different way than the modern stones. Before highly accurate mechanical polishers were developed, diamonds were cut to respond to candle light. Antique diamonds have a quality which can’t be replicated today. They were cut for different conditions. We’re surrounded by electric light everywhere we go in the modern day, but in the times before mass electrification of homes and businesses, diamond cutters had to be very creative in how they worked a rough stone, so as to capture as much of the available light as they could. Often, this means that a diamond officially classified as J color could just as easily pass for I, or even H, and is likely to be indistinguishable from higher color grade diamonds. Antique diamonds also have the benefit of their own history and the fact that each one is utterly unique. Because of the very manual way antique diamonds were produced, unlike modern identically laser-cut diamonds, no two are exactly alike, thereby increasing further the already huge character antique diamonds possess. But if antique diamonds aren’t your preference, then what? Is a J colored diamond still a viable proposition? It is, actually. 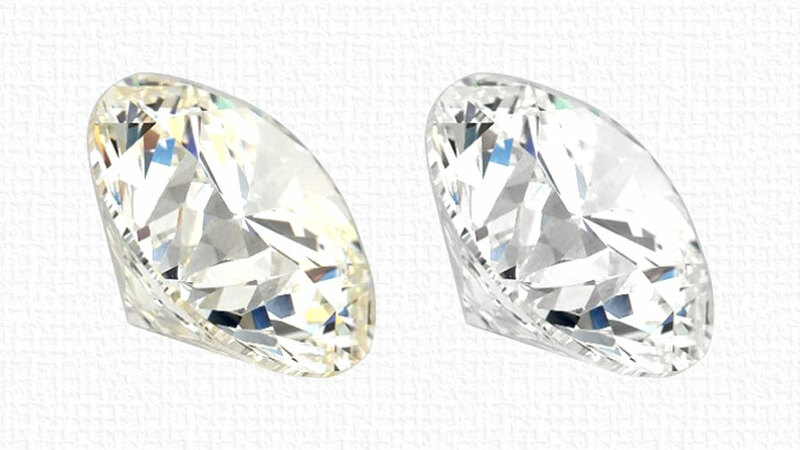 When set in platinum or white gold, a J diamond still appears almost colorless. A particularly keen eye may spot a hint of color, but the vast majority of people never will. 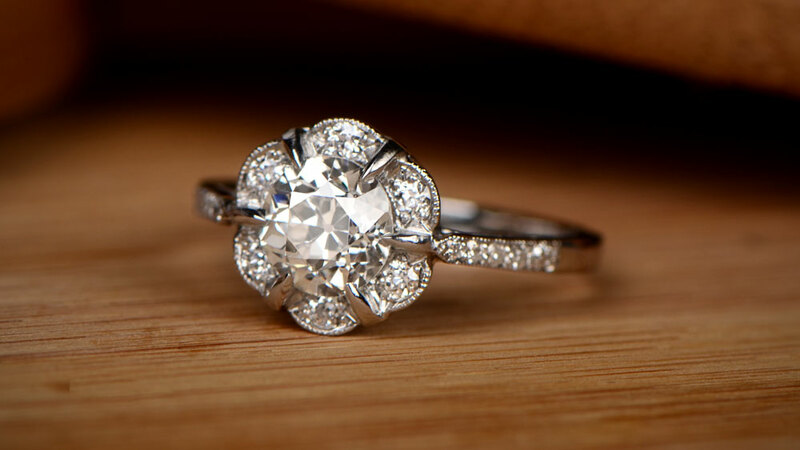 The reason is that diamond color is decided against a fixed scale and in a very specific environment. That is, not in the varying light we all have to contend with every day. The human eye is very adept at understanding what colors should actually look like, so it makes adjustments to the overall scene based on what the brain is expecting to see . This mean the color that is present in a diamond is adjusted by the eye to look, well, like a diamond. Then there’s the cost. A J diamond will be a fraction of the price of a D diamond, and might well be as much as 40% cheaper than even an H diamond. This is especially true above 1 carat, as the color can become more pronounced in larger stones. If you’re going to set the stone in gold, then the added color can actually be a benefit, adding to the overall warmth of the ring. How to Make a J Color Diamond Appear Whiter? Assuming that your budget doesn’t permit you to get a diamond that is H Color or I Color, there are tricks that you can do in order to make your diamond appear whiter. As we mentioned above, try and find a diamond with a white face-up. Bezel-set the diamond to hide as much as the side angles as possible. Set the diamond in yellow gold. The yellow in the diamond will appear to be reflecting from the setting and not the diamond itself. 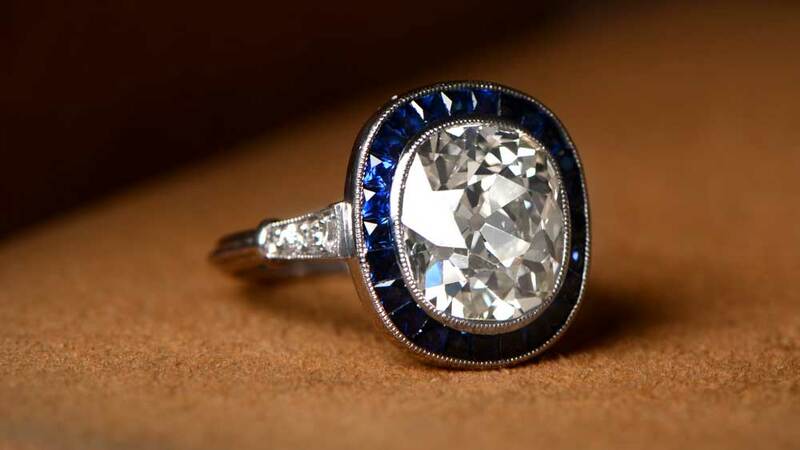 Expert Tip: Surround the J color center stone with a halo of L-M color diamonds. The L colored diamonds will make the center diamond appear G-H color. Find a diamond with fluerescnce. Flurescence is good for diamonds with hints of yellow. So, in short, a J diamond should be the best color for most people. A J diamond with an “excellent cut” is also far more preferable than a G diamond with a “poor cut”. 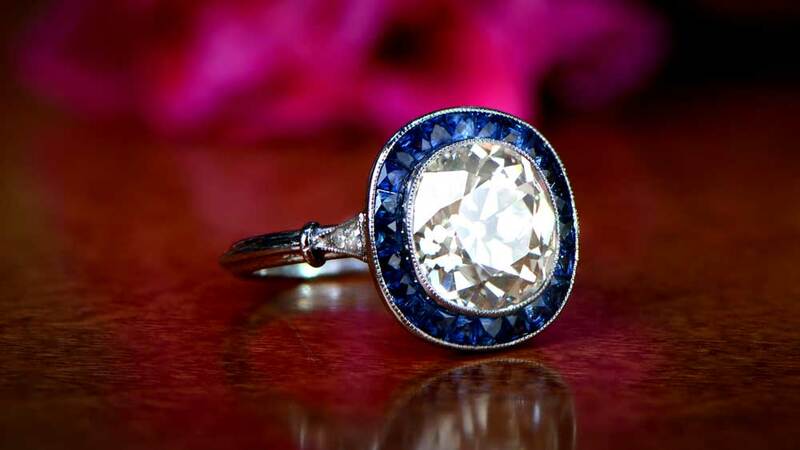 If you love vintage, try find an antique color J color diamond. Always inspect the diamond ring in person. Often a J color with a white face-up will look far better than an H color with a yellow face-up. You may get really lucky!